It’s a wrap! The 17th Annual Operation Pumpkin was held Sunday, October 21st from 5:30 – 8:00 PM at Coronado Country Club and El Paso did not disappoint. 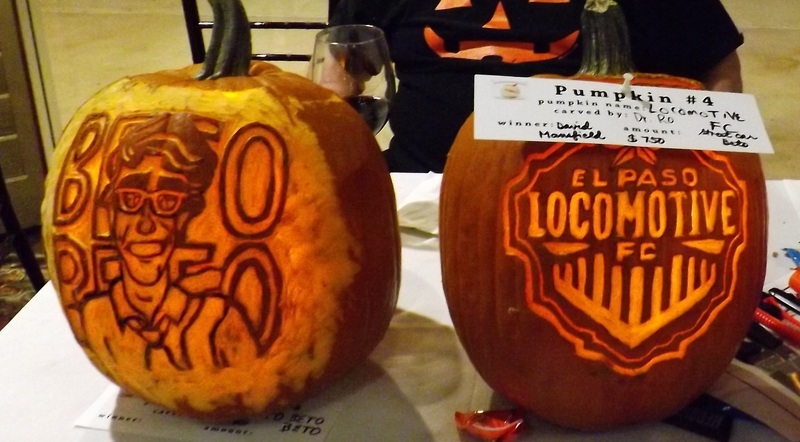 A fabulous time was had by everyone in attendance as some of El Paso’s physicians carved the most amazing creations! The talent and creativity in action was fun to watch as scalpels flew, drills ran and new creations came to life. When the carving was over, guests participated in a live auction, vying to take one of the spooktacular creations home. The evening was complete with food and beverages sponsored by Coronado Country Club as well as a silent auction and raffle for great goodies. All proceeds from this event go towards our clothing budget for the 80 children here at the Lee & Beulah Moor Children’s Home. No words can describe the amount of gratitude we have for our generous sponsors and the doctors that gave their time, energy and creativity to make the evening so special. Thank You El Paso! Click here for photos of this year’s event!